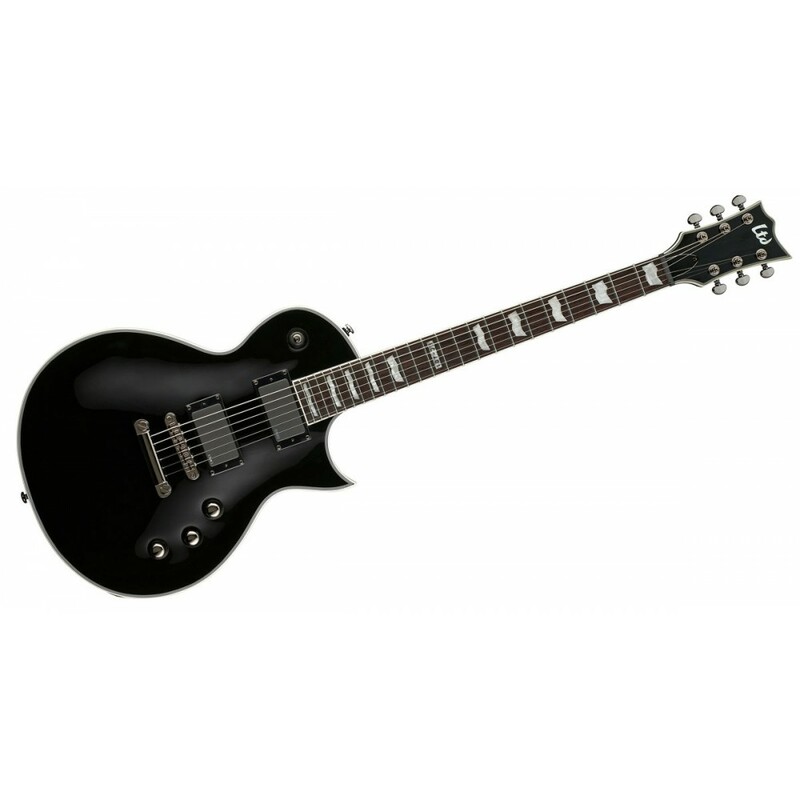 EC-401 - Black, LP-Shaped Guitar from LTD belonging to the EC-401 model. Trouble free use, this guitar is a real pleasure to play. I was sawn to see that it is lighter than my Squier Stratocaster! on the other hand I think the position of the microphones (tight enough between the two) does not make the game shred, especially palm-muting. I play mostly modern metal granted Drop C. The combination of EMG 81 + 60 is ideal for this style of play. 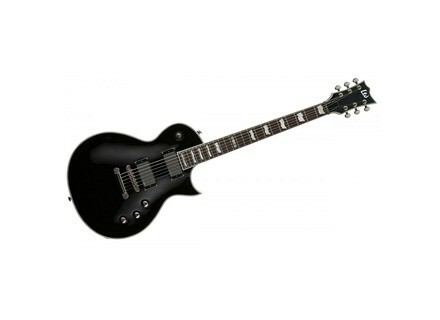 Having found the EMG 81 too "synthetic" I changed the pickup to a Seymour Duncan Blackout 1B. The mixture of the two microphones is perfectly: I have all the precision and sharpness of EMG60 combined heat and the huge gain of Blackout. Therefore ideal configuration for modern metal. I use it for 2 months now. 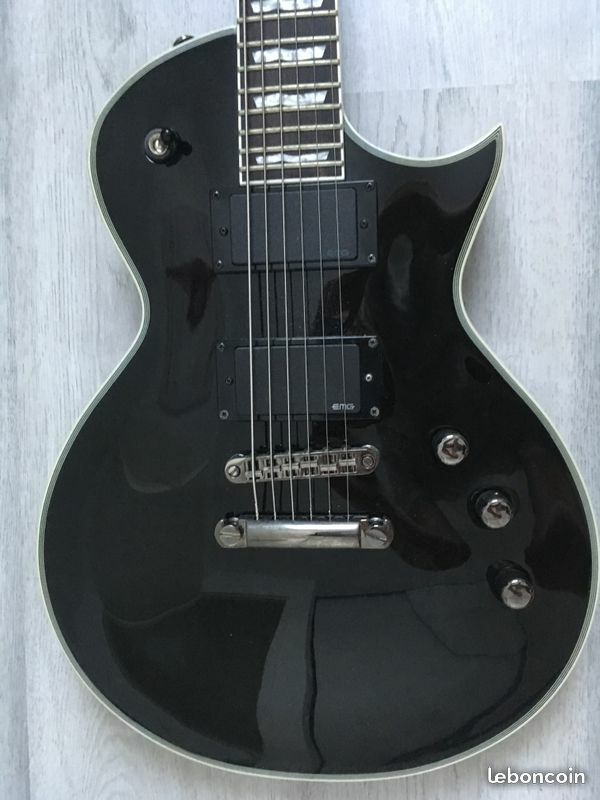 I love the Les Paul style with a dark version of bourrinne acastillage. I tried a lot of style, but this slight scratches with microphones that send puree is great for modern metal. For the vintage metal I rather recommend the version with Seymour Duncan or DiMarzio. 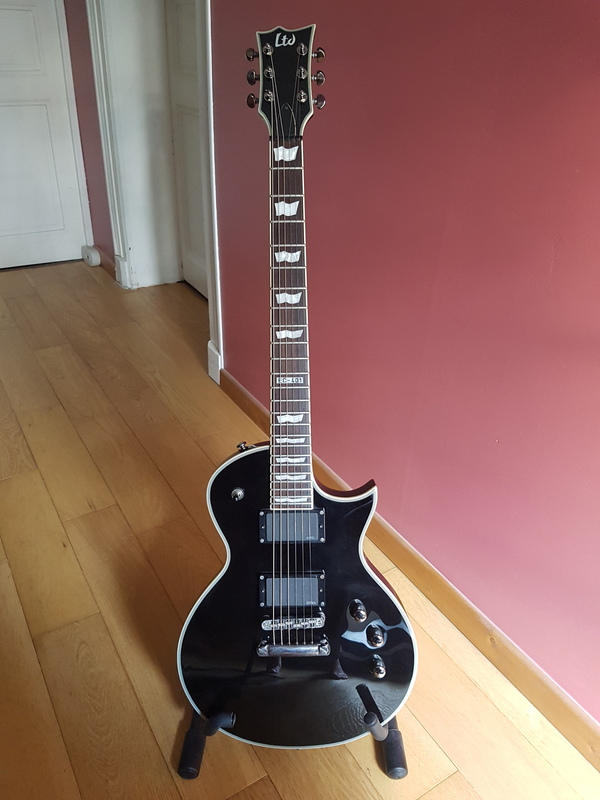 RodTheMod's review (This content has been automatically translated from French)" A good metal guitar!" The neck is nice and fast. Access to treble is good. Les paul type body is pleasantly reworked. I saw a lot of opinions that claimed that the guitar was heavy ... It has made me laugh! My Fender telecaster deluxe 72 is almost twice as heavy! Anyway ... A little lift cast guys! The EMG 81 is excellent for metal. You must love the coldness of EMG, certainly ... Personally I quite like! The EMG 60 has really surprised me in regard to clean! Whether to clean the Fade to black or a more bluesy clean, it is convincing! So yes, the EMG are not the kings of clean, we agree, but it serves its purpose well, especially for small metal ballads, and the interest of LTD is here! We never saw BB King or Clapton on LTD? If? magic EMG (for lovers of this type of sound or people warned ...). A good choice I do it again! Bolt on Mahogany, item by "flags", Rosewood. Three pots, two volume control and a tone. <span style="white-space: pre;"> </span> The neck is super comfortable, made for fast games, the slides very well painted. 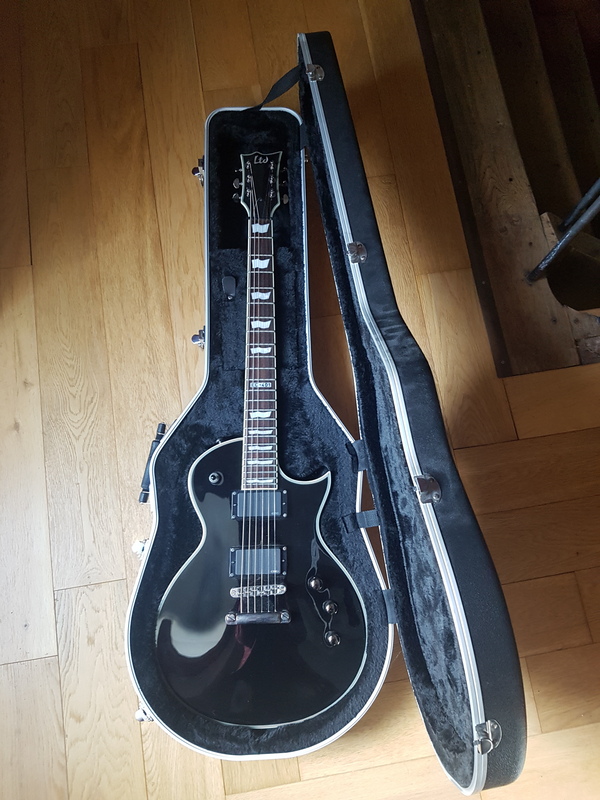 <span style="white-space: pre;"> </span> Having played on a Start copy so far, the weight of this guitar (Les Paul shape) has caused me some concern. It is indeed quite heavy compared to what I experienced before. Despite a massive head, the ergonomics are excellent, both for the game than sitting upright. <span style="white-space: pre;"> </span> Like all Les Paul, access to acute're excellent. 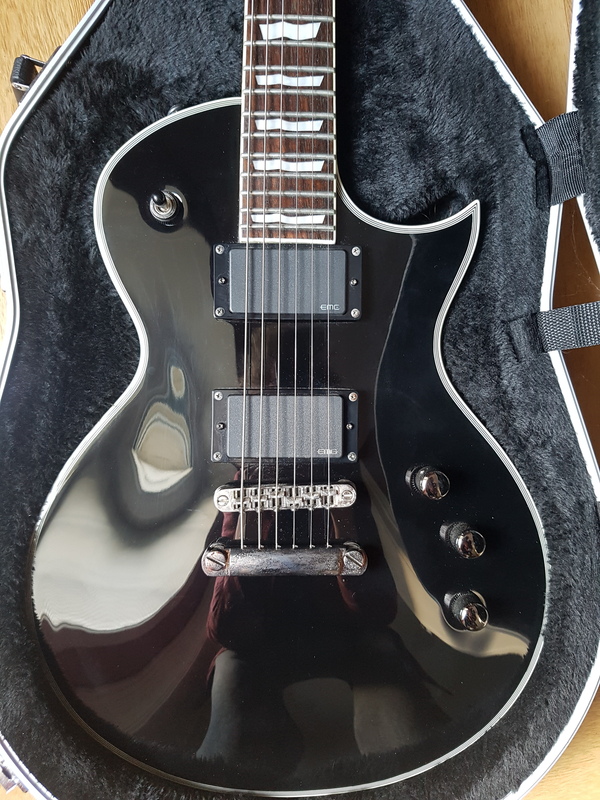 <span style="white-space: pre;"> </span> The pickups are good, so the resulting sound is excellent too. <span style="white-space: pre;"> </span> The major advantage of this guitar is its sound. The EMG 81 is a total killer when it comes to Metal / Hard Rock. It is most accurate, the output level is extra. For other styles, the 60 should be enough. <span style="white-space: pre;"> </span> I had this guitar a week ago. Not having tested in store, I doubted a little before trying it. After use, I do not regret my choice. <span style="white-space: pre;"> </span> The feature I like most about this guitar is certainly its sound. The neck suits me well. Only problem, his weight, because let's face it us, it is heavy. <span style="white-space: pre;"> </span> THE price / quality ratio is excellent, when we see what she has in her stomach. <span style="white-space: pre;"> </span> I certainly would do that choice.